Fantastic Beasts: The Crimes of Grindelwald is shaping up to be the worst commercial showing the Harry Potter franchise has released. The sequel made headlines as the first of the lot to be labeled “rotten,” and its current box office numbers rank it amongst the lowest of all films. 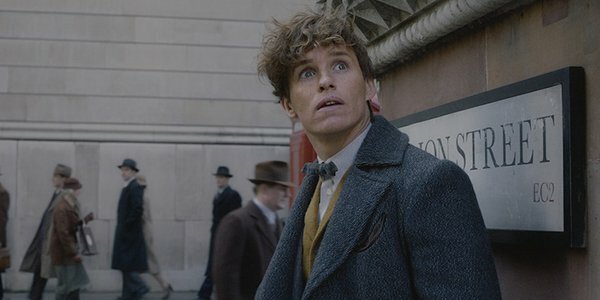 While many fingers could be pointed at the missteps this franchise has taken that led to this, I think it’s time audiences collectively admit that Fantastic Beasts has a Newt Scamander problem. To clarify, this isn’t a knock against Eddie Redmayne’s performance in the slightest. The actor has brought nothing but his A-game to the character of Newt Scamander, which makes it a shame that his role often gets in the way of Fantastic Beasts: The Crimes of Grindelwald more than it aides it. To make that point, let’s put Newt Scamander’s role in the sequel into context. Newt is offered a job at his brother’s recommendation by the Ministry of Magic in which he’ll be tasked with finding Credence. Newt declines because he’s “neutral” and doesn’t choose sides. Newt ends up in Paris anyway, but only because he wants to reunite with Tina and inform her a magazine article she read is incorrect, and that he isn’t engaged to Leta Lestrange. This is the first major problem with Newt Scamander. This franchise is built around a guy who can’t take a stance on wizarding superiority over Muggles, but is willing to risk time in Azkaban to clear up a factual error for a crush? Beyond the fact it’s something that could’ve been explained with a simple letter or the various other magical methods of communication the Wizarding World has, this is what he’s putting it all on the line for? Main characters in the Harry Potter franchise have made immature and questionable choices in the past, but let’s remember that Newt isn’t a child. Fantastic Beasts has seemingly treated him as such though in the sequel, as the beast handler was relegated to a side adventure/quasi-love story. It was a weird and somewhat meaningless side journey that felt awkward next to scenes where babies are being killed and grand speeches about Wizarding superiority are underway. Make no mistake, things are going to get worse in the Wizarding World before they get better. This is a very serious time in the universe’s timeline, which makes it all the more frustrating that Fantastic Beasts: The Crimes of Grindelwald was split between Grindelwald’s movement gaining traction and a grown man fumbling to tell a woman he has romantic feelings for her. It’s especially bothersome when the latter event of the two is supposed to be the main character’s storyline. Put simply, Newt Scamander is too fragile and immature of a character for all the grim stuff that’s about to happen in the Wizarding World. It seems some decision makers of Fantastic Beasts seem to recognize this, which may be why the initial remarks that Newt would be at the heart of the franchise by David Yates were walked back by producer David Heyman. Those comments ultimately led up to Fantastic Beasts: The Crimes of Grindelwald, which felt like a movie where Newt had a bulk of screen time, but played no substantial role in the major events dedicated Harry Potter fans care about. He does manage to choose a side at the end, but as we’ve mentioned, his character experiences little growth that shows he’s capable of confronting the dark wizards and mature themes that surely lay ahead in future films. This isn’t Newt’s fault, it’s the franchise’s for deciding to use a novel about magical creatures as a backdrop to the much-anticipated tale of young Dumbledore and Grindelwald. Newt’s role as the hero in the first adventure as fine, but now that the film has established Jude Law’s young Dumbledore, it feels like passing the torch to his character to shoulder the rest of the tale would be ideal. Otherwise, the franchise is in for a handful of other films that struggle to find a story for Newt’s character, and random scenes of magical creatures to further justify the title Fantastic Beasts. Seriously, was there any other beasts scenes outside of Nagini’s character that weren’t put in simply to remind folks why Newt’s important? Again, it’s just another thing getting in the way of a story fans are dying to see. While reducing or downsizing Newt’s role in Fantastic Beasts would be a option that potentially improves the franchise, it’s not the only option. Newt could still keep his quirks, but by the next film, it would help if the events that unfold between The Crimes of Grindelwald and the next adventure that allows him to realize what’s at stake. Newt doesn’t have to change completely, but he does have to mature a bit and not be so childlike and naive. As previously mentioned, Eddie Redmayne is a tremendous actor, and forcing his character out of the central role would be a huge shame. Having said that, it’s also keeping the Harry Potter fans away from the stories they’ve wanted to see for a long time, so Fantastic Beasts has to find a way to better incorporate him in the Grindelwald and Dumbledore feud. In all fairness, that plan might already be in the works. There has to be some reason someone decided Newt was to have a role in this vital part of Harry Potter history. Perhaps if that part was made more evident in the next feature, his interruptions and character development would be more forgivable. Until then though, he’s still the guy standing in the way of my long-standing dream to see the rise and fall of a man who eventually influenced Voldemort.